The Starlight camera was our first sponsored camera. It is a Bushnell "no flash" camera. This means that it has a dark screen over the LEDs so that no red glow flash is seen by animals or people. This camera got nearly 3200 images in burst mode. 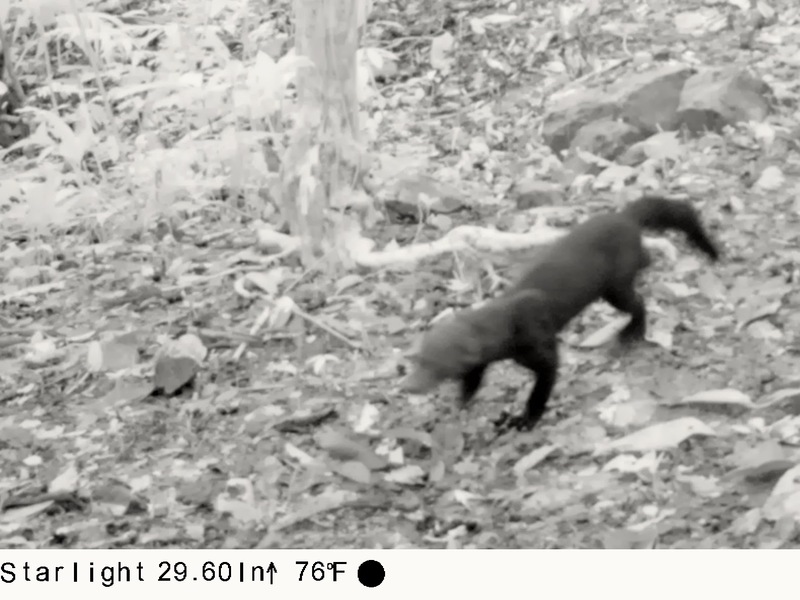 We got 3 images every time the detector sensed motion. We got a ton of great information about what went on at this particular location. Despite the vast amounts of info, the quality is not the greatest. However, that is the tradeoff for so many images on one set of batteries. This camera was so well hidden that it took us 3 extra days to recall exactly where we had placed it. Starlight was in a great ocular void as far as humans were concerned. 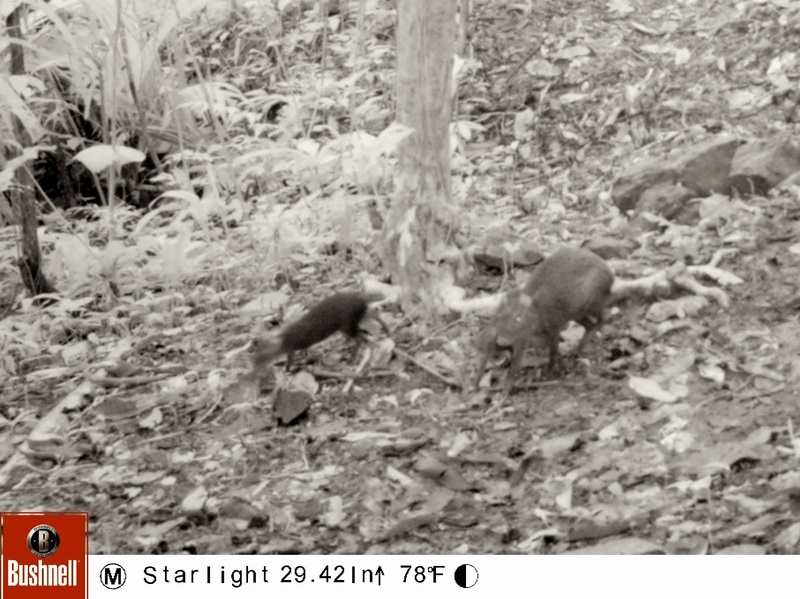 About this place: The camera was strapped to the base of a small tree and faced a trail that had a slight decline. The rock in the center of the trail was very popular with many of the animals. Behind the rock is a little dip in the trail. This is one of the first images we got. 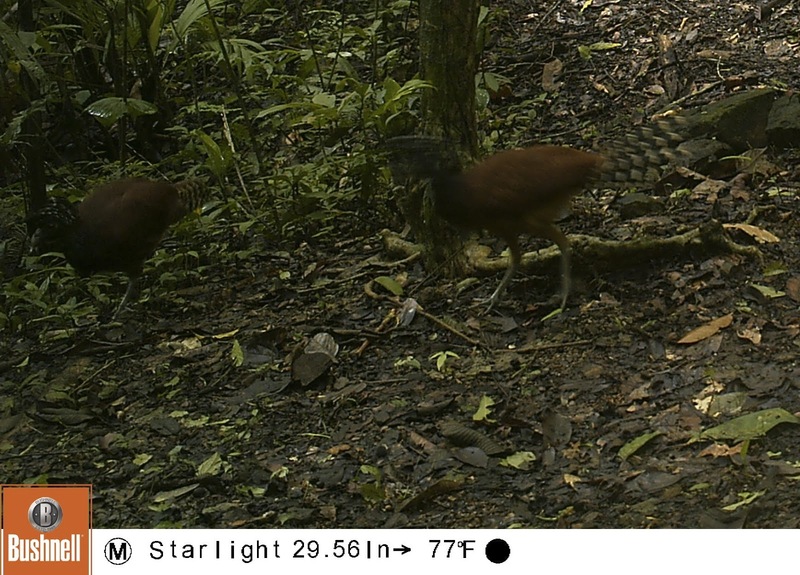 A Tinamou to the right of the rock. 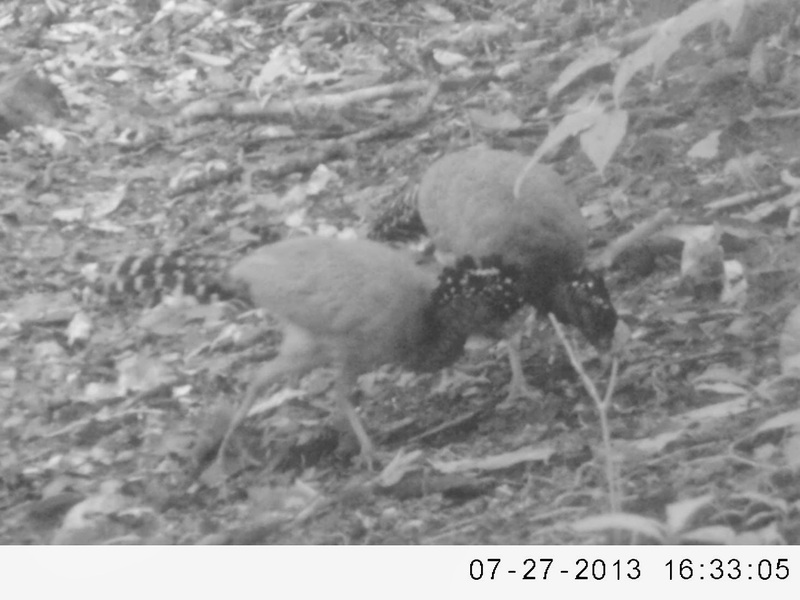 A beautiful pair of wild turkey sized Great Curassows. These are hens. The Hens have found a meal of some sort. 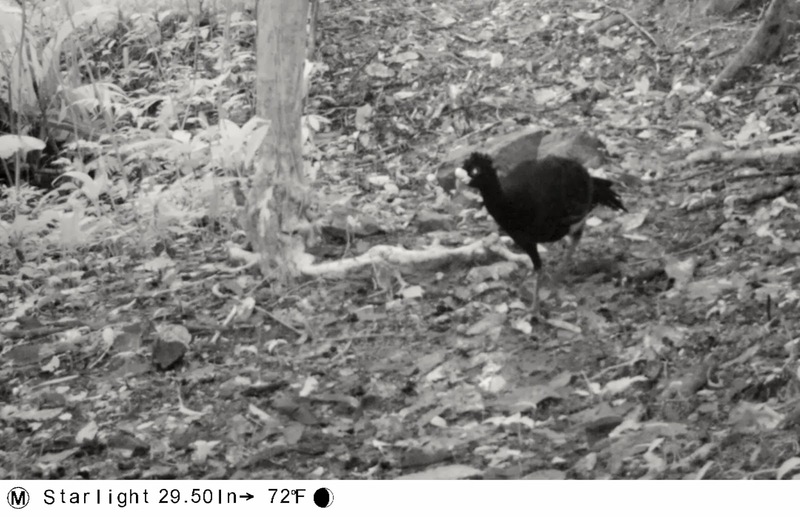 The male Great Curassow strolls by. 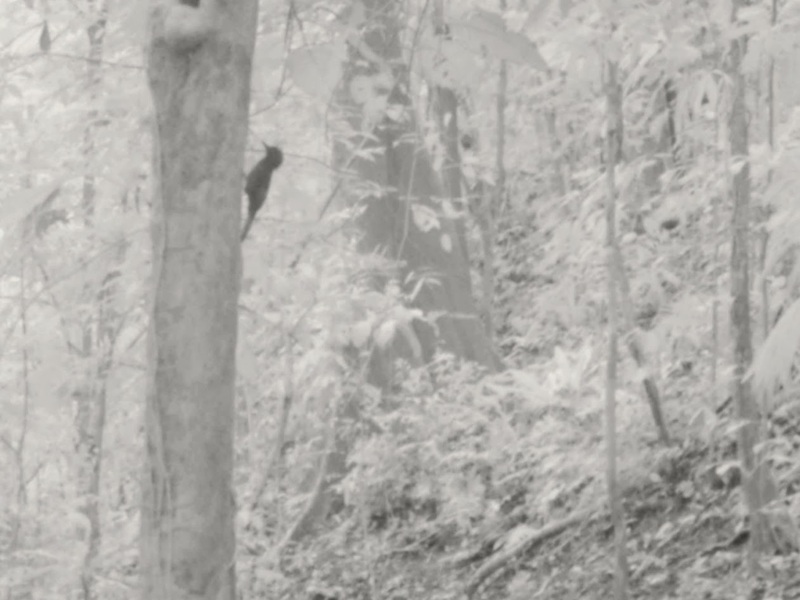 Unidentified bird triggers the camera. 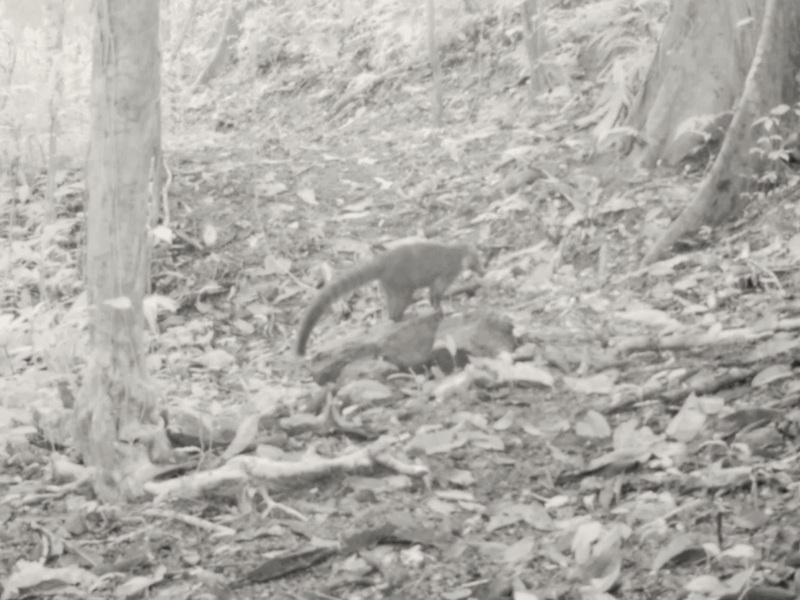 The Whitenosed Coati digs up a meal. 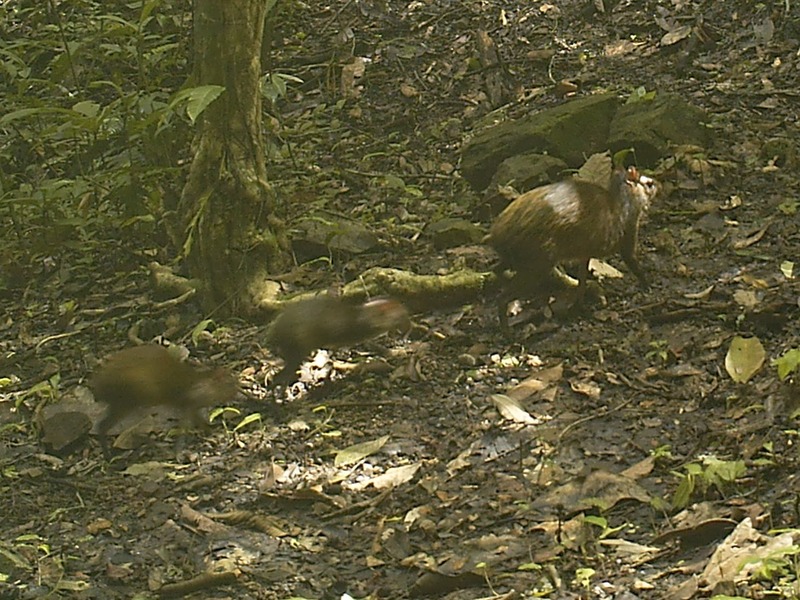 Agouti and a bird on the rock. 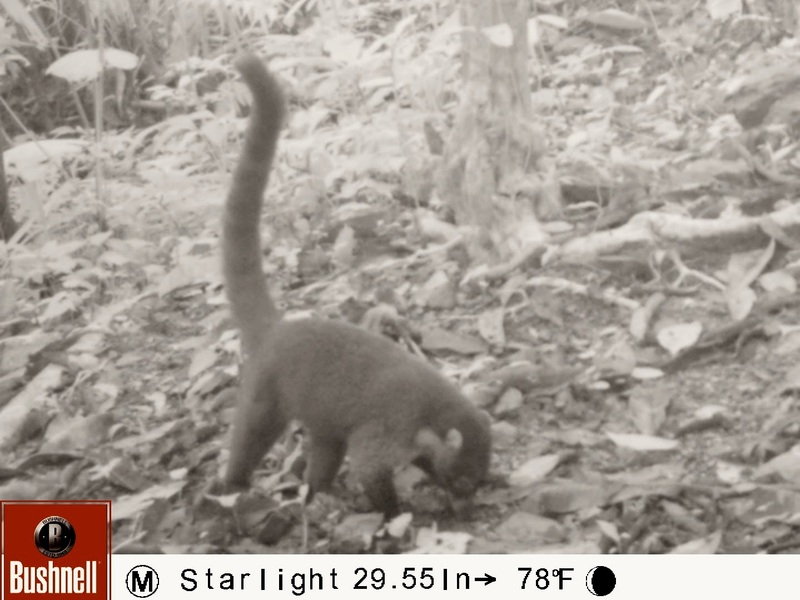 The Coati stops on the rock. 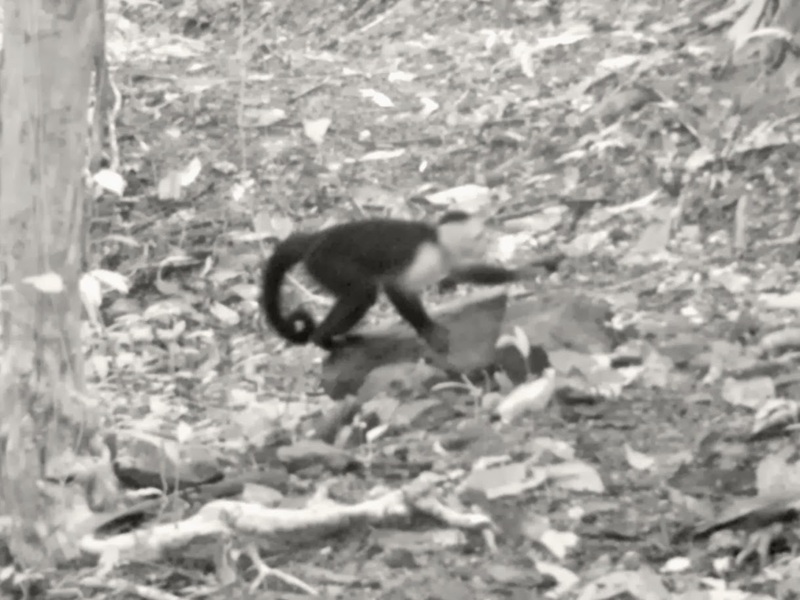 A Capuchin monkey checks out the rock. 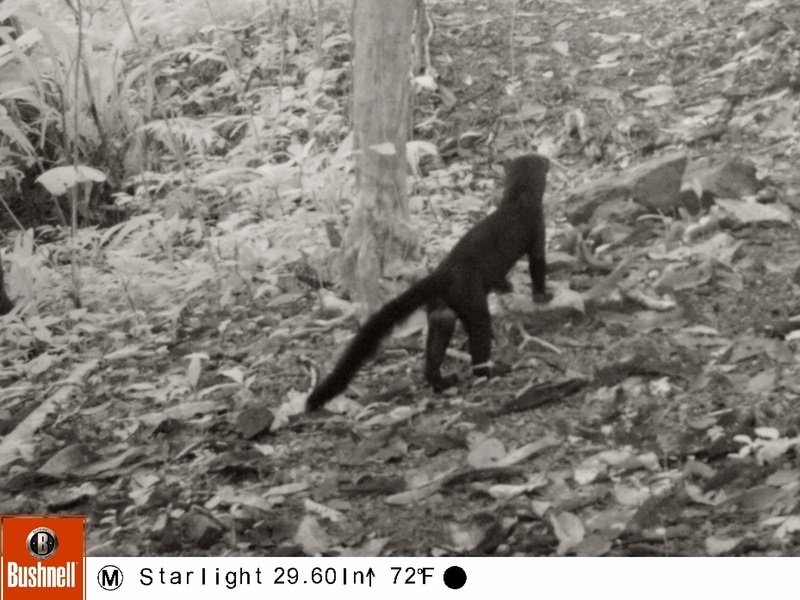 The Tayra catches his breath on the rock. 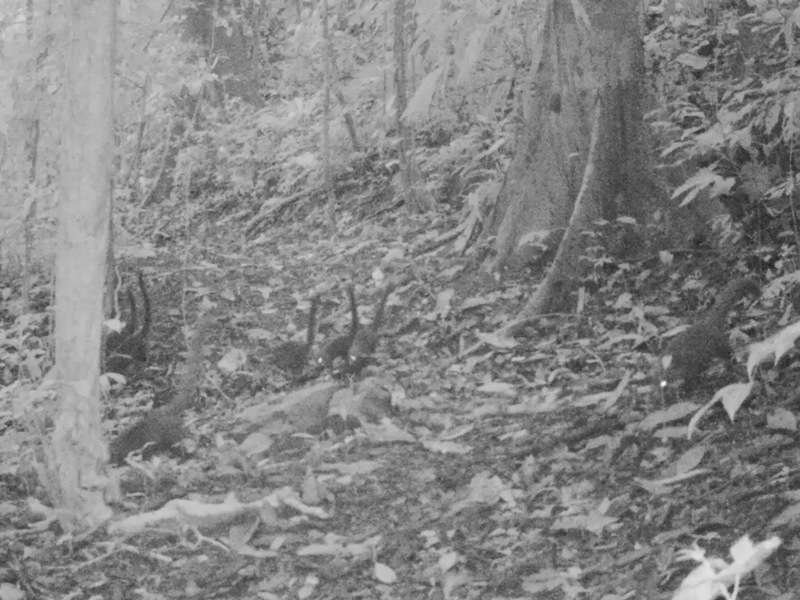 A pair of Pacas pass by. 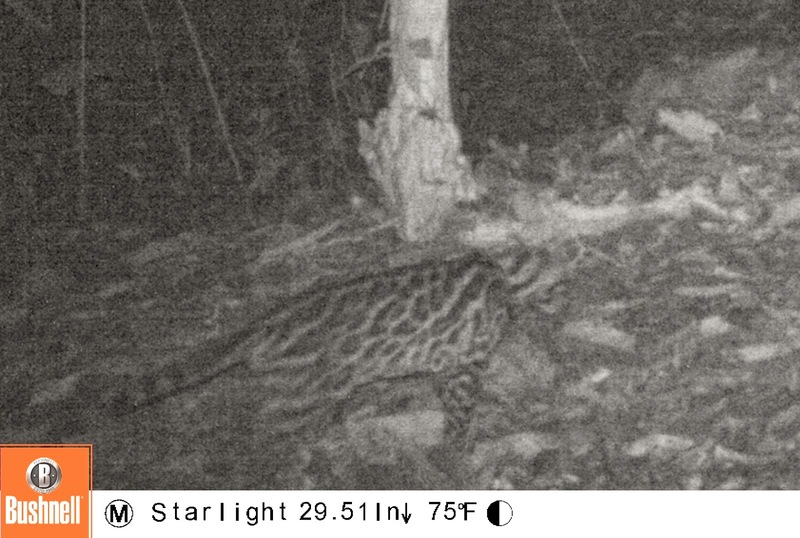 One of several ocelots that walked the trail. 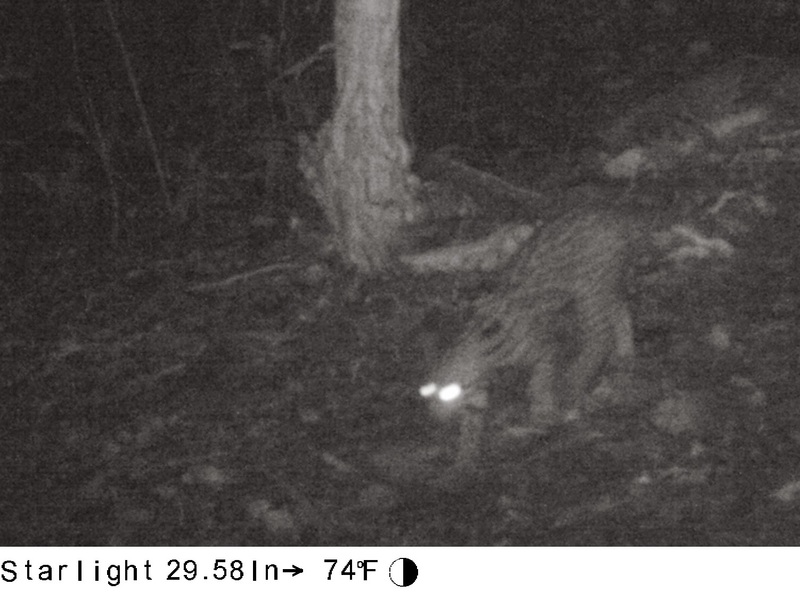 Another of several ocelots that walked the trail. 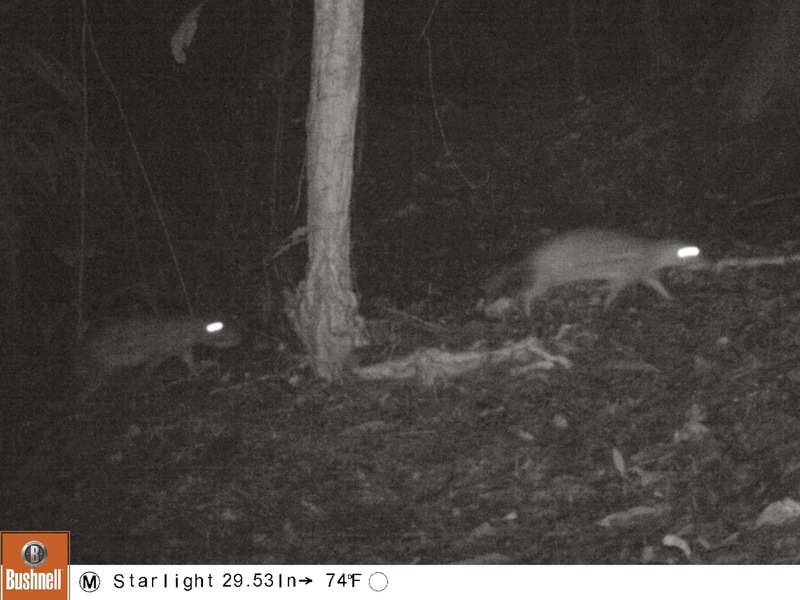 The most seen animal from the Starlight camera was the agouti. 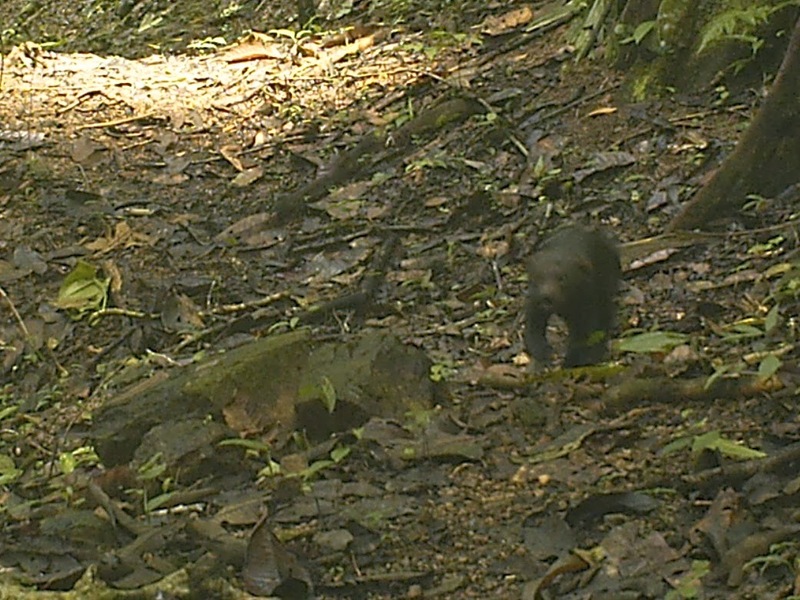 It was also a hugely popular place for the Tayra as well. 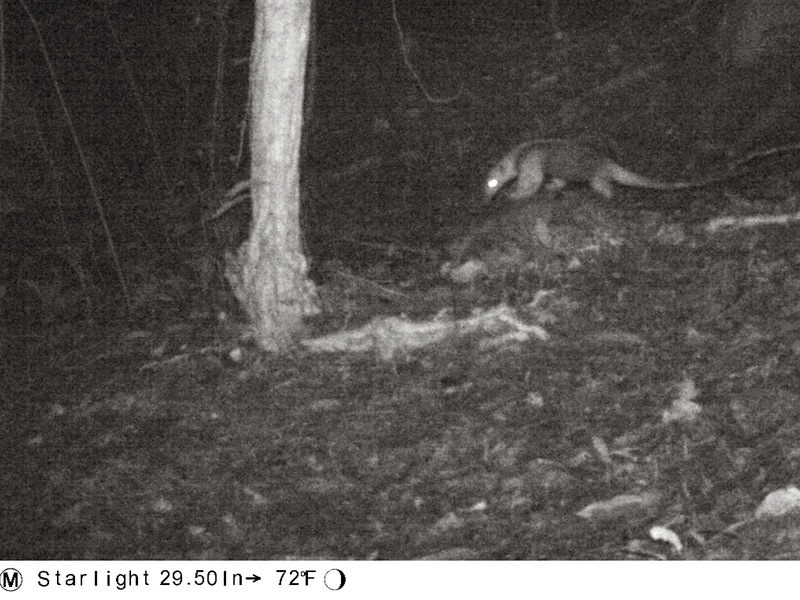 It probably had one of its dens nearby. 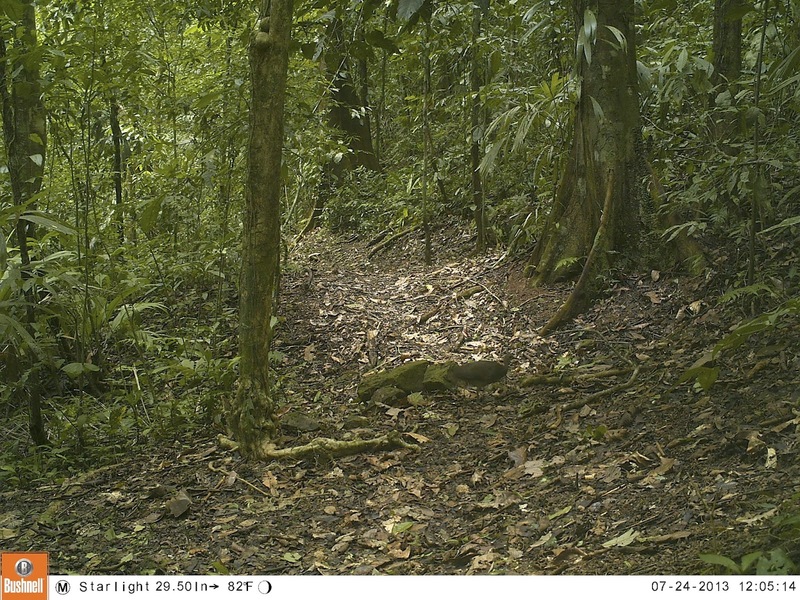 We were able to get many images of he Tayra coming and going along this trail. 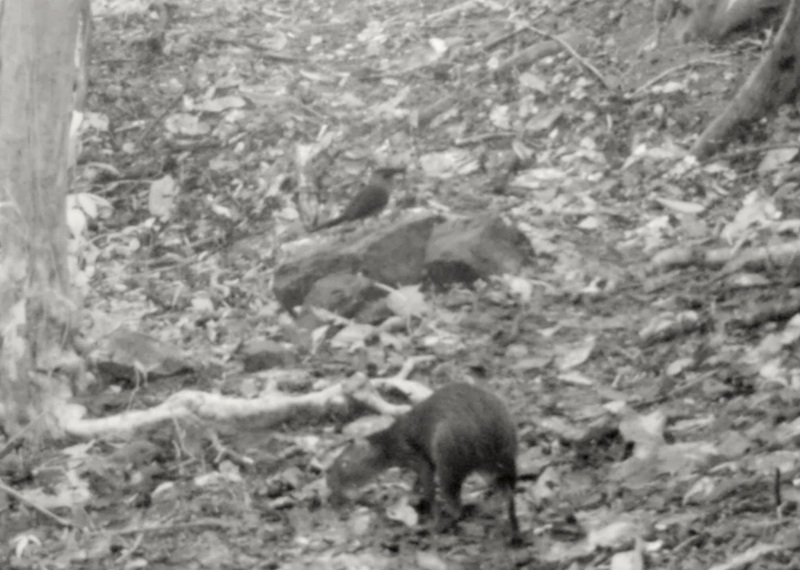 The Tayra stares at the rock. 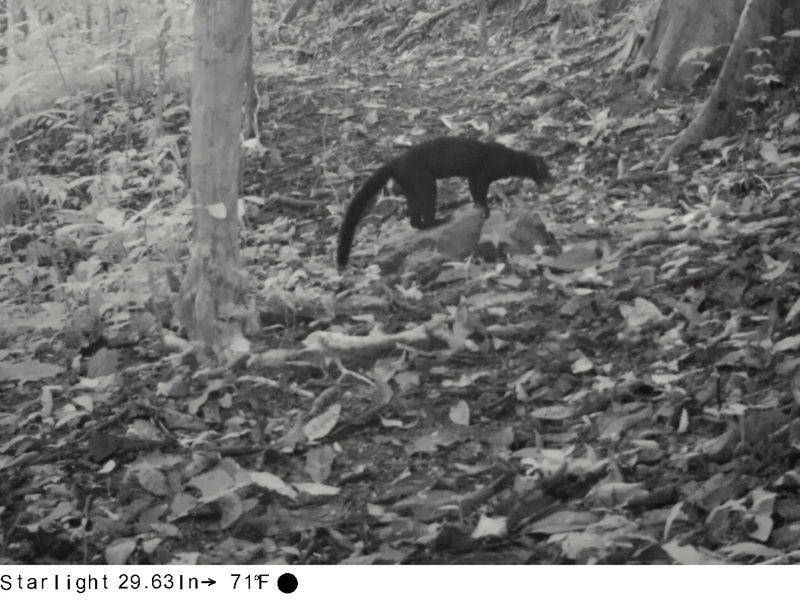 The Tayra in living color. I suggest that you enlarge this video to see it better. The Starlight camera suffered in the climate and stopped working when I changed the batteries. When I returned home, it was sent back to Bushnell and today a new replacement camera arrived from them. If you have any questions or comments, please leave them in the comment section below. Keep an eye out for reports from the remaining cameras as I'll be posting them over the next few weeks. You can subscribe to the blog and get notified when I post, or you can check back when it is convenient. Visit the Ocho Verde YouTube Page for other scintillating videos.